Hello Joan..! nice picture and effects.. 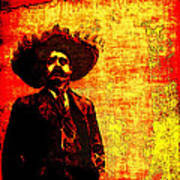 Congratulations...I too have done portraits of Pancho Villa....I like the red and yellow contrast. Valerie, you are so kind... thank you! A somewhat different portrait for me, Angel! Thank you! Wonderful work, Joan. Very compelling. I love what you've created here. The colors and style are Perfect. Wow, excellent. Reminds me of a vivid tapestry. You did him proud. Ana, you are the color queen! Thank you! This was in my favorites instantly. :) Thank you, Odd! A different approach on a portrait for me! Francisco Villa (5 June 1878 - 20 July 1923). 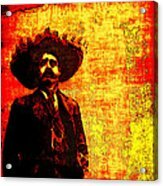 The Mexican revolutionary leader. 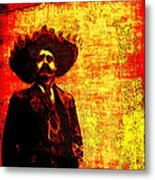 Stealing from the rich and often giving to the poor, some saw Pancho Villa as a modern-day Robin Hood. Many remember him as a folk hero. 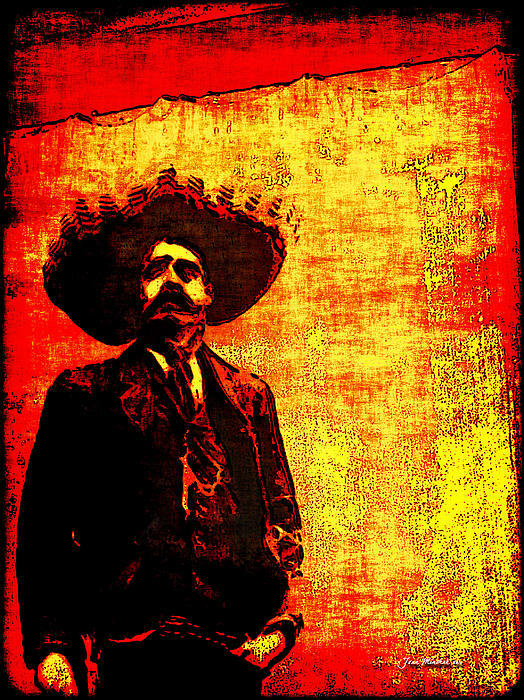 From October 1910 to May 1911, Pancho Villa becane a revolutionary leader, promising change for the lower classes. Villa retired from revolutionary life in 1920 but had only a short retirement for he was gunned down in his car on July 20, 1923.